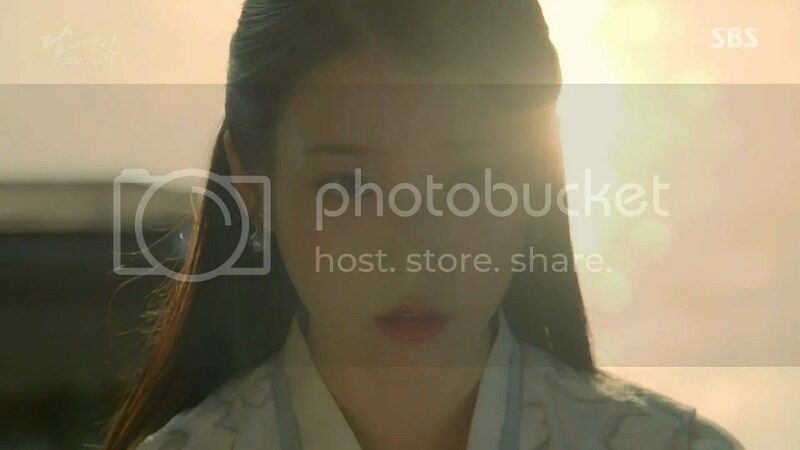 Go Ha Jin (IU), a girl from the present day, gets transported back to the Goryeo dynasty and must live there as a noblewoman known as Hae Soo. 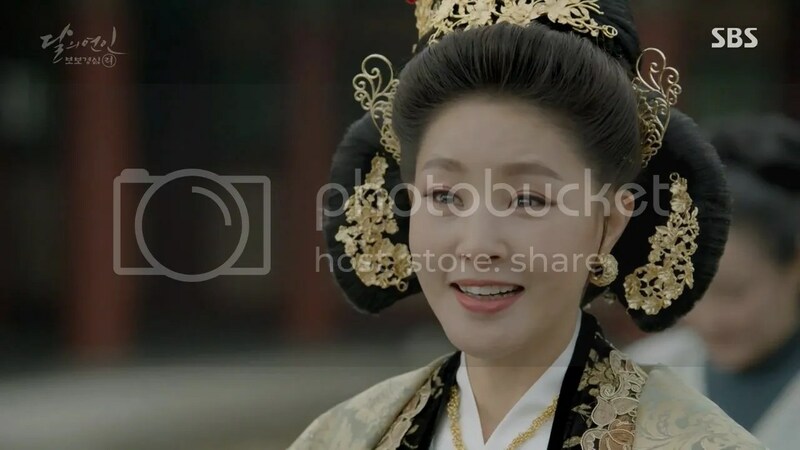 She gets caught up in the political strife of the Wang princes during the beginnings of the Goryeo dynasty and the reign of the King Taejo (Jo Min Ki). 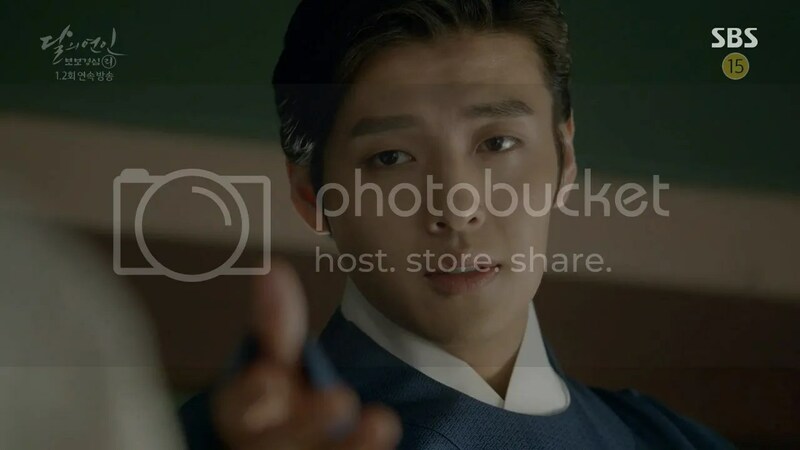 Hae Soo comes to rely on the strong, levelheaded Wang Wook (Kang Ha Neul), the 8th prince and her brother-in-law. 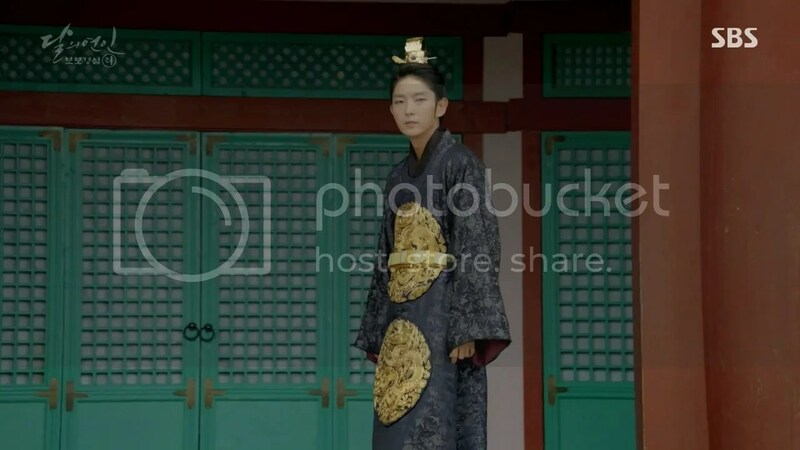 She also meets the savagely hostile Wang So (Lee Jun Ki), the 4th prince. 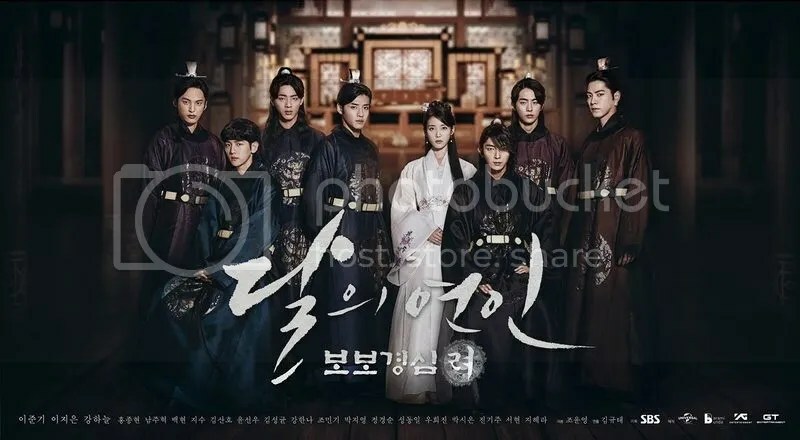 Based on her knowledge of Goryeo history, Hae Soo knows that a bloody fate awaits the princes who are in line for the throne and realizes that her actions could change their destiny. Adapted from a Chinese drama, the story seemed to work well with many of the historic elements about the beginnings of the Goryeo Dynasty. I watched the prequel for this drama before it started airing hosted by Historian Sul Min Seok and it was very informative. 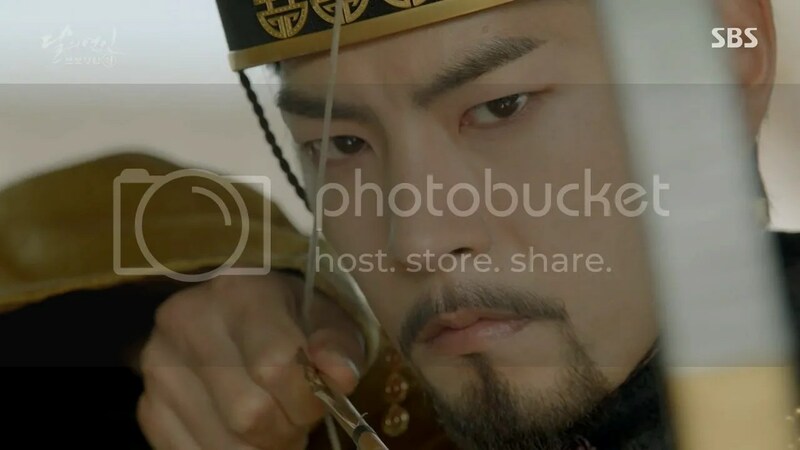 In short, King Taejo’s greatest achievement was united the Later Three Kingdoms (Goryeo, Silla and Baekje) under one rule in order to strength the kingdoms overall. He united them by marrying daughters from royal families from those kingdoms. He was known for having many wives (29 consorts) and even more children (34 kids, 25 of them male), whom he then married off to affluent families of various clans. 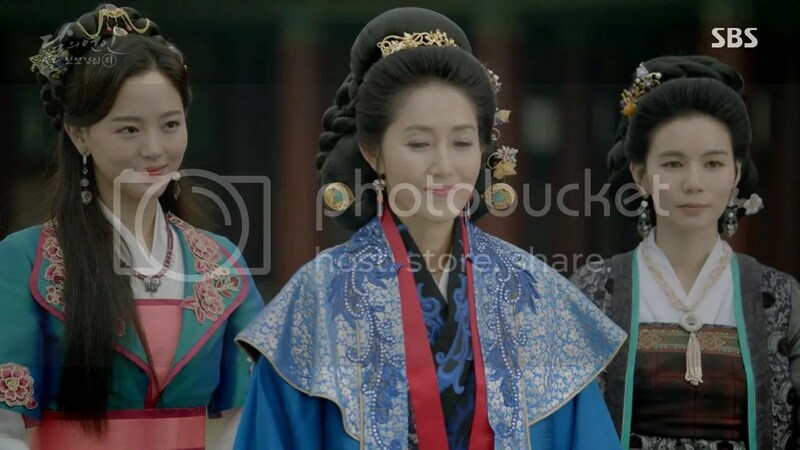 Unlike the Joseon Dynasty, there was really no ranking between the king’s queens and consorts. Their power came the backing of their clan but it was assumed that the first born prince would assume the throne after the king’s death. That is, unless he died. 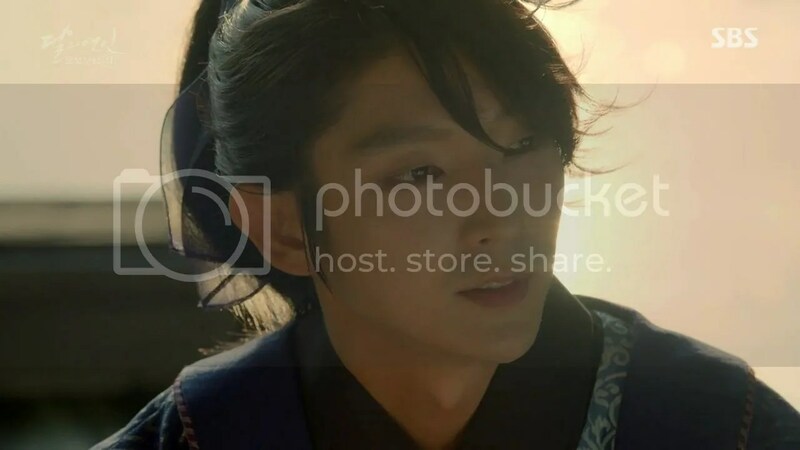 And so, at the beginning of the Goryeo Dynasty, there was uncertainty about who would succeed the throne and the princes’ lives were at risk because of it. Even pitting brother against brother. Taking that aspect into the premise of the story, I found Wang So to be a fascinating anti-hero. Another aspect to this drama and the times is that beauty was held to a very high standard. A woman with scars could not be wed to the king. People with visible scars were typically treated as outcasts. Even though I could not find a record that Wang So had a facial scar in real life, it was interesting that it was a pivotal part of the drama’s story. The scar was a visual reminder of So’s barbarity but also his crutch. 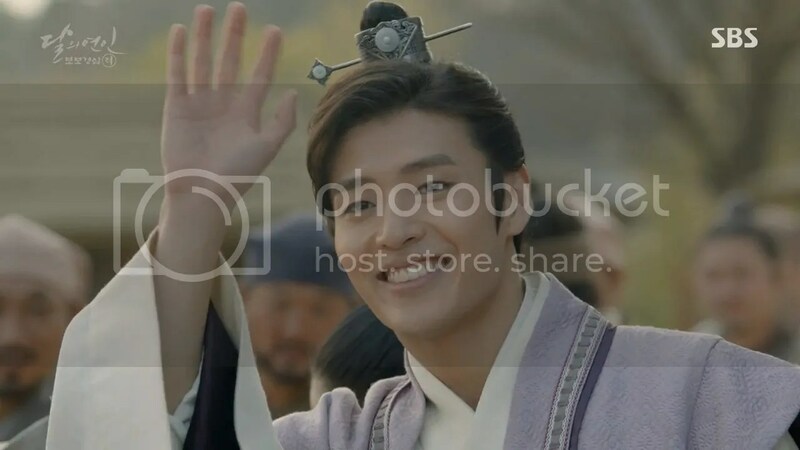 In fact, it also served as an interesting divide between him and his birth mother, Queen Sinmyeongsunseong (Kim Ji Young). Despite the fact that So yearned for his mother’s love, her disdain for him drives him to become a savage beast. Lee Jun Ki plays those intricacies so well. I’m used to him playing the guy who loses everything but here he starts off as the guy who’s got nothing to lose so it explains So’s ruthlessness. Freud could have a field day with the complicated and twisted relationship of So and his mother. As he begins to fall in love with Hae Soo, he does evolve but he never loses that edge. On the other hand, Wook is the brother who is genteel, intelligent and strong. He’s admired by the people around him and other than the crown, he’s got the whole world in his hands. It’s important to note that while power is important to Wook, his goal wasn’t to become king but he plays an important part in politics. He doesn’t push people too hard nor does he back down easily. He’s very good at walking right on the line but not over it. 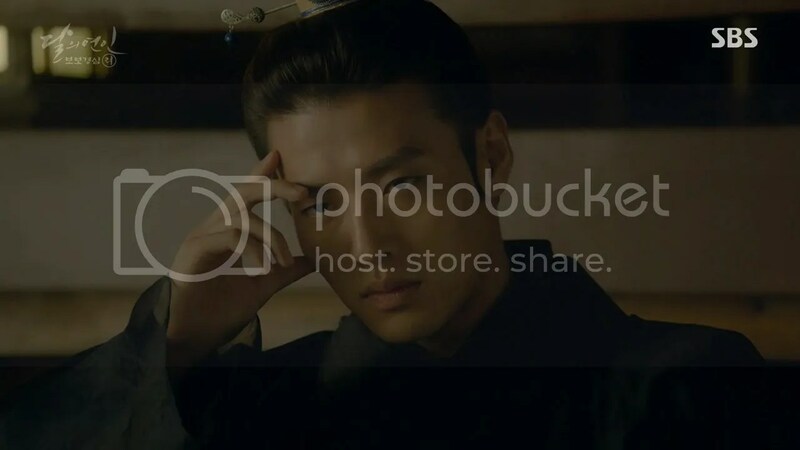 Kang Ha Neul is excellent at playing the cool but measured Wook. 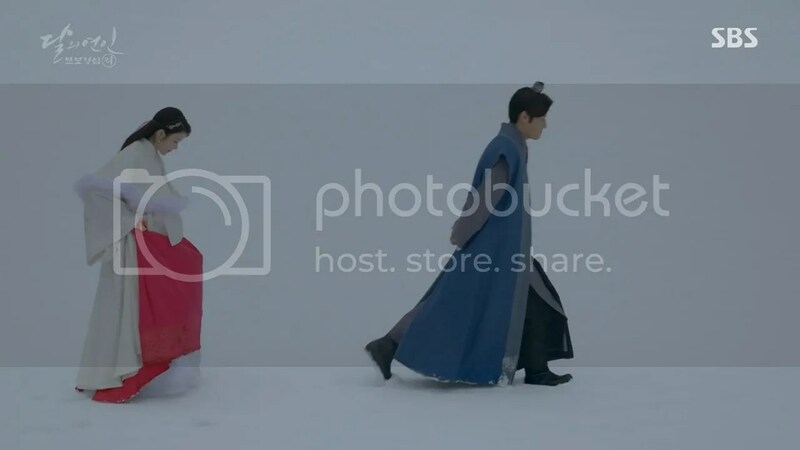 Unfortunately, those qualities also becomes his downfall as his inability to step up for Hae Soo and eventually his jealousy and regret over losing her drives him to seek revenge for selfish means. Destiny and fate both play a big part in the drama. 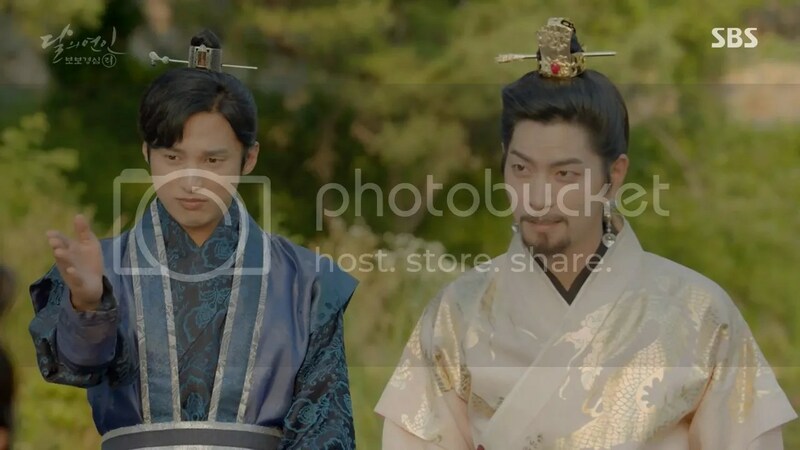 The princes who are meant to lead Goryeo are meant to lead it. However, how that prince takes the throne and how that person rule are determined by the choices they make. 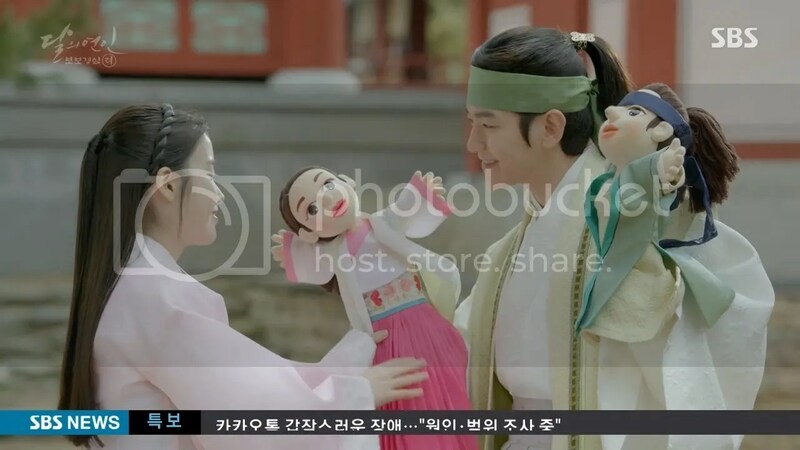 Although Wang Eun (Byun Baek Hyun) was a weak prince, he was married to General Park Soo Kyung’s (Sung Dong Il) daughter, Park Soon Duk (Z.Hera). 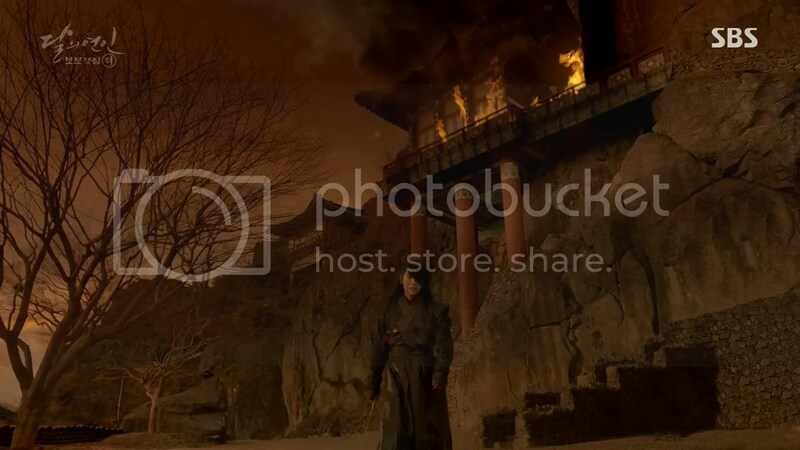 It’s not clear if the real Prince Eun got married but this is enough cause for Yo (Hong Jung Hyun), who becomes Goryeo’s third king, King Jungjong, to want him to be killed. 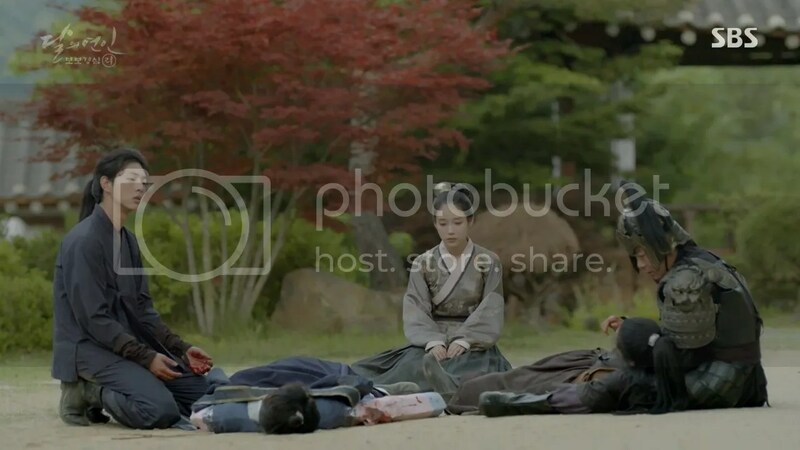 Despite Hae Soo’s visions that So’s rise to the throne is through executing his brothers, this drama indicates that So’s “execution” of Eun was due to his brother’s merciful request in order to prevent from being killed by Yo himself. The outcome is still the same but the drama makes the case that So chose a different destiny. 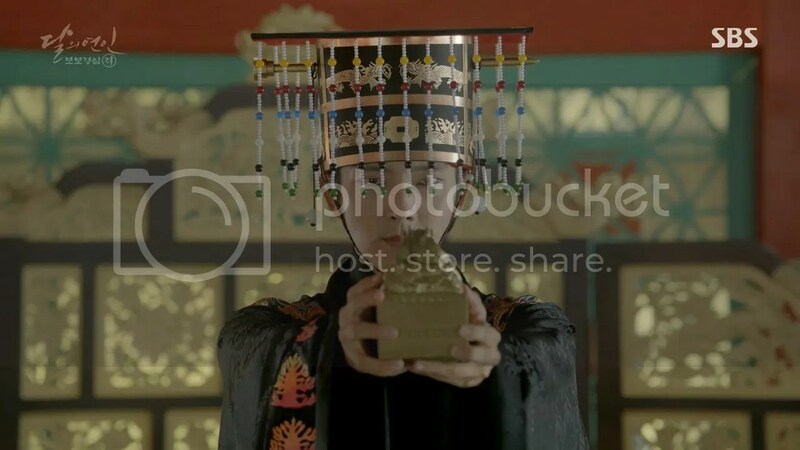 This debate between destiny and fate was most interesting especially since we know what the history ended up being for the early years of the Goryeo Dynasty. 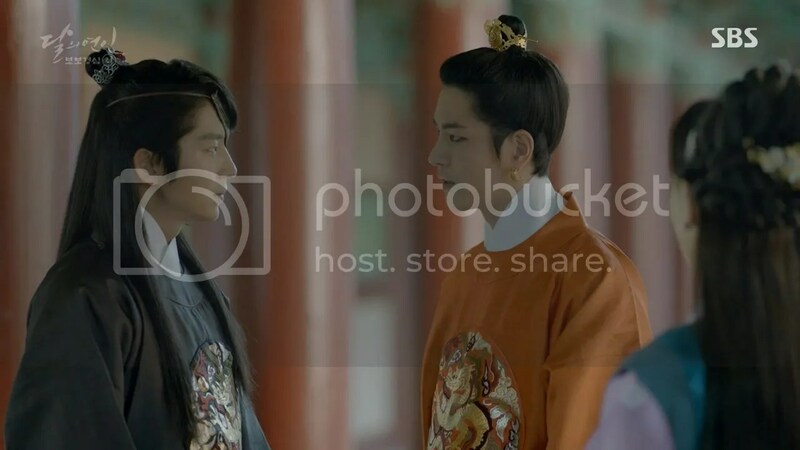 Moon Lovers is certainly a historical fiction but it takes factual elements and applies it so well to the overall plot that made it such a compelling story. That’s something I wish Moonlight Drawn by the Clouds had done as well. Being a drama, it doesn’t need to be a completely factual story but there has to be a reason for why the characters act or react the way they do and the plot proceeds the way it does. Being an epic drama, it not only spans over many years and over the course of several regime changes. It’s not that 20 episodes weren’t sufficient to cover the story but it was baffling to see the inconsistent pacing of the drama. 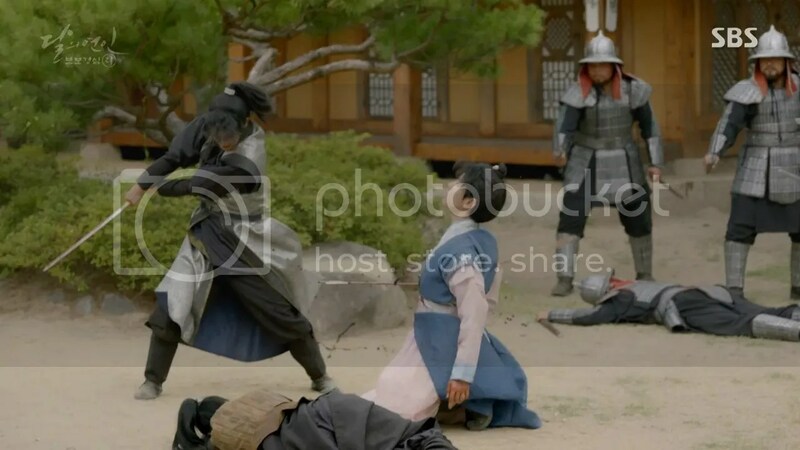 It felt slow in some places, especially during the reign of King Taejo but the drama entirely skipped other storylines such as the romantic developments between Baek Ah (Nam Joo Hyuk) and Woo Hee (Seo Hyun). It didn’t help that I felt Seo Hyun’s acting felt a little stiff at times but I kept thinking that I had missed an episode between their romantic developments skipped by leaps and bounds. Because of that, it was hard to feel any emotional attachment to them as a couple. Rather, I was more drawn to Baek Ah as an important ally of So and Hae Soo. The cinematography in the drama is beautiful like a landscape painting. In many ways, the drama captures the changing seasons as a reminder of just how much time passes in the overall story. 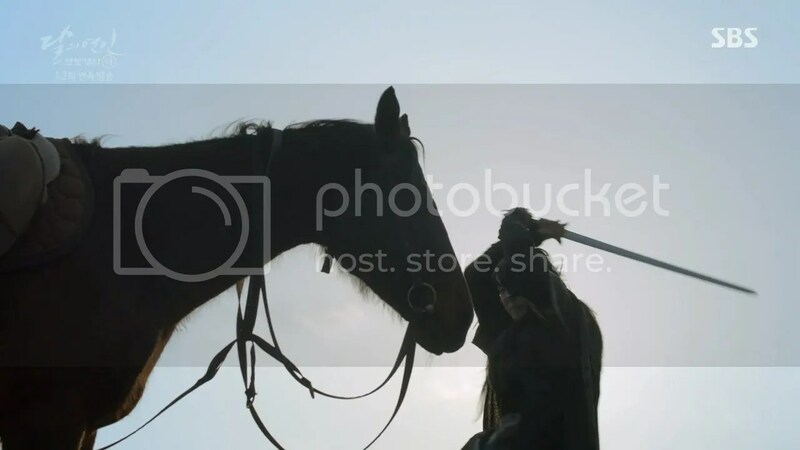 Although the drama first paints Wook as the knight in shining armor early in the first act, his double-cross cuts so much deeper because we’ve spent that time with him. 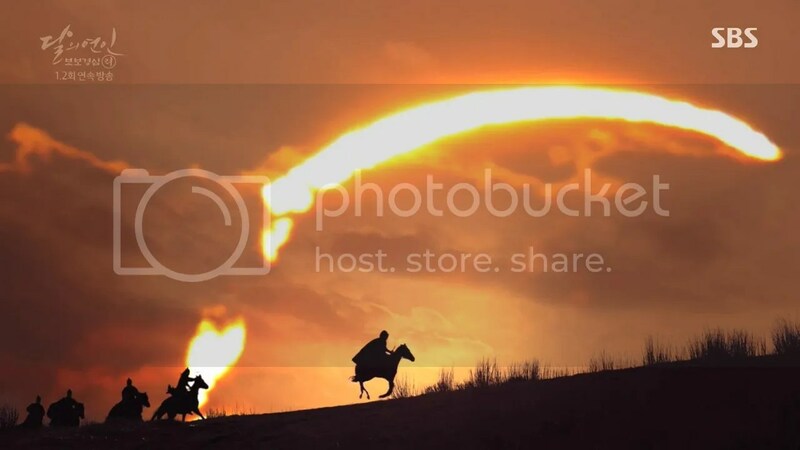 Despite the fact that the title of the drama is called Moon Lovers, the imagery of the sun plays an important part in foreshadowing the relationships in the drama. As Hae Soo’s feelings for So grows, their scenes are surrounded by light as the spring flowers blossom around them. However, their loves grows so intense that they both end up getting burned by it. I know many fans of the drama wished for a different ending but I was very satisfied by the ending we got. I believe the balance of destiny and fate play an essential part in the overall theme of the drama, especially for the main leads. What will happen will happen but how you reach that conclusion is determined by your will. It’s a lesson that many of the characters learn throughout the drama. I feel that if we saw a present-day So it would come across as contrived and cheesy. What’s the point of seizing your destiny if fate will give you an infinite number of chances to do things over? I really enjoyed this drama and its many nods to the original c-drama Scarlet Heart. I felt it was very awkwardly edited, though. The many differences between the Korean and international broadcasts made this clear! Aah yes! I heard the international version edited out certain scenes. I saw the Korean broadcast version and the pacing was awkward for some the characters. I can’t imagine what it was like watching the international version. I actually didn’t enjoy this drama. I couldn’t help comparing it to the Chinese version and editing was so weird. I kept wondering if I missed an important scene for each episode (sigh). I felt like the side characters weren’t as interesting and the acting for some was awkward. IU’s facial expressions were also confusing. I couldn’t tell if she was sad or happy. Luckily Lee Joon Gi and Kang Ha Neul amazing acting made up for that! I did enjoy reading your take on the drama though. It helped consider different pros, including the cinematography.